Orajel Dental Gel delivers rapid relief when and where you need it most. The 10% w/w benzocaine is ideal to reduce pain associated with a broken tooth or in a tooth that may require a filling until you can see the dentist. Orajel Dental Gel form gives you control over the product during application and goes right to the source of your pain to provide targeted relief. 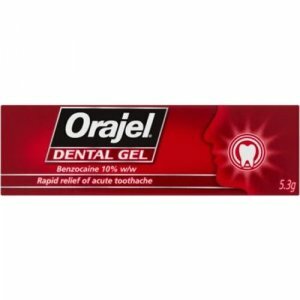 Orajel Dental Gel contains benzocaine, a powerful local anaesthetic that works by temporarily blocking the pathway of pain signals along the nerves and relieves pain by numbing the area. Toothache occurs when dental pulp (the middle layer of the tooth, containing nerves and blood vessels) becomes inflamed. This can be caused by a number of factors, including dental decay, a fracture to the tooth, receding gums or certain dental treatments, such as a loose filling. Anyone who experiences toothache should seek advice from a dentist. Cut off tip of tube. With a clean finger or swab apply an amount of gel the size of a green pea into the tooth cavity. Use up to 4 times daily. Do not use continuously. If toothache persists, consult your dentist. Not for use in children below the age of 12 years. Orajel Dental Gel is intended for short-term use until you can get to a dentist. It should not be used continuously. Do not use for more than 4 days at a time. If the toothache persists, consult your dentist. You have had an allergic reaction to benzocaine or any of the ingredients in the gel, particularly sorbic acid. An allergic reaction may include a rash, stinging, swelling or itching. This product contains Sorbic Acid, which may cause local skin reactions (eg Contact Dermatitis). You have been told by your doctor that you have difficulty converting a component of your blood called methaemoglobin to haemoglobin. Please don’t be worried. 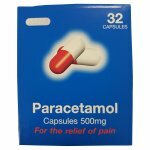 Most people taking this medicine will not experience any problems. Tell your pharmacist, doctor or dentist if you are taking antibiotics called sulphonamides, for example co-trimoxazole, as benzocaine may prevent them from working well. 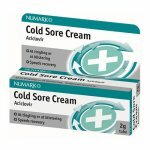 If you apply or swallow too much gel contact your nearest hospital casualty department, doctor or dentist immediately. Taking the product information leaflet to show to the dentist or doctor. 10% w/w Benzocaine, Macrogol 400, Polyethylene Glycol 3350, Sodium saccharin (E954), Sorbic acid (E200), Natural Spearmint Flavour, Citric Acid and Clove Oil.